TDK’s Headway Technologies – Comfort International, Inc.
TDK / Headway large multinational leading independent supplier of recording heads to the hard disc market. Approximately 30% of the hard drives today use a TDK / Headway recording head. In order to continue to stay globally competitive while manufacturing in the heart of Silicon Valley the facility department needed to reduce their operating costs year after year. 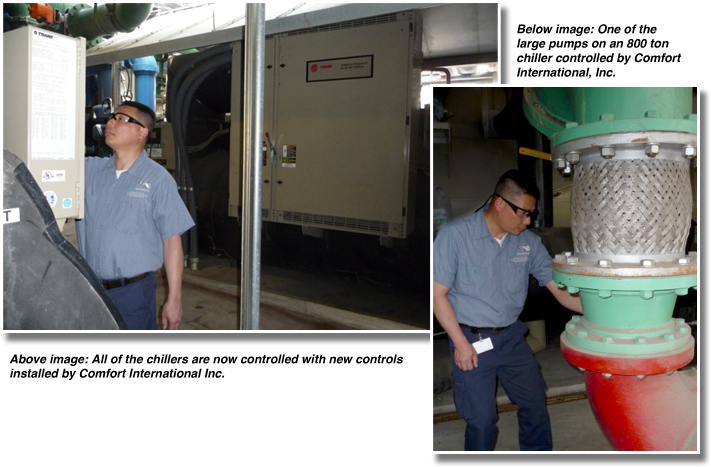 Over the last 5 years they achieved energy savings by implementing simple energy efficiency measures such as lighting, VFD's and high efficient motors. Energy was still one of their largest single costs for operations. The challenge was to find a way to further reduce energy while keeping production operating with very tight tolerances of +/- 1 degrees and 2 % humidity specifications 24/7. Their 112,000 square feet production building in Milpitas, California is made up of class 100 critical clean room manufacturing space with many, very intensive cleanroom tools that require approximately 1000 steps, over the span of 12 weeks, to produce one of their recording heads. TDK after an extensive review process to identify the most qualified contractor familiar with re-engineering complex clean room facilities whom would guarantee the energy savings choose Comfort International Inc. to audit and perform the energy efficiency improvements. 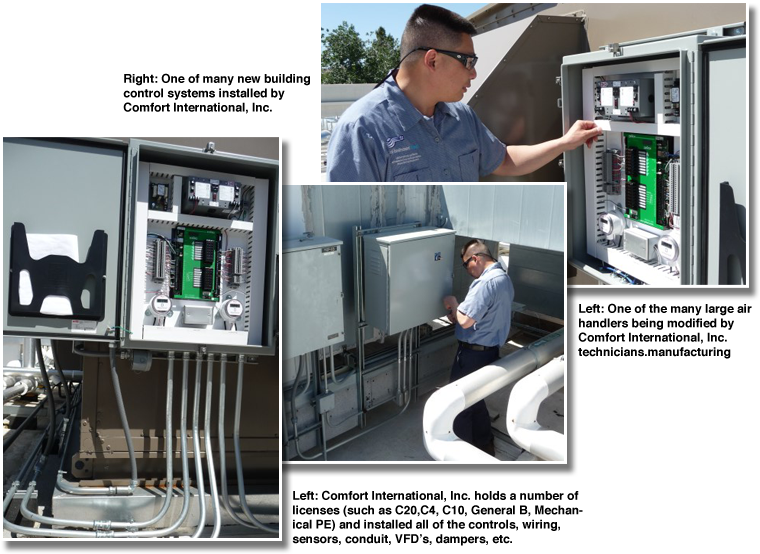 The HVAC systems design was highly modified by installing over 1200 points of controls, approximately 57 variable frequency drives (VFD's), as well as new dampers and valves to enable new operations of the systems. 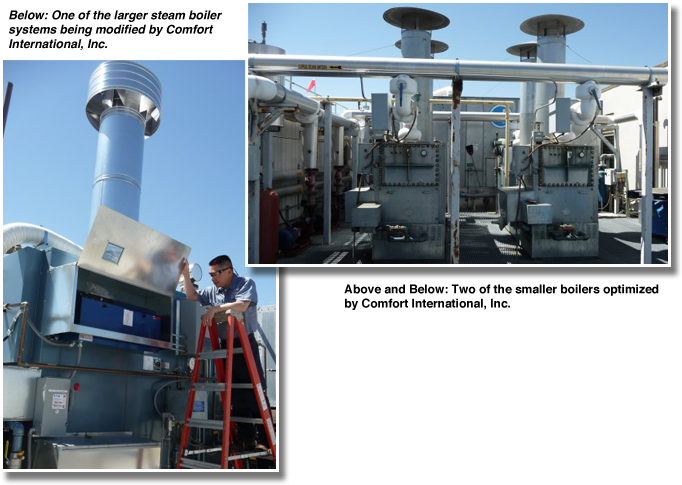 Comfort International, Inc. was able to achieve the energy savings without replacing any of primary HVAC systems (chillers, boilers, air handlers, etc.) but instead they engineered new ways to make use of all of the HVAC systems utilizing new strategies and operations radically different that the inefficient original design. 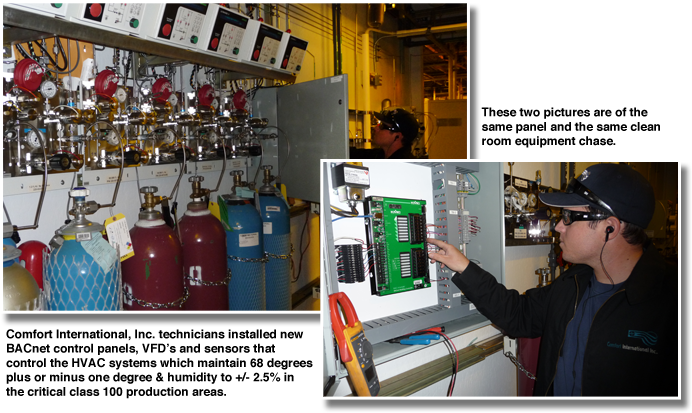 Comfort International Inc. designed and installed the entire energy project in-house with no subcontractors. As an example the air handlers were redesigned by modifying and adding new dampers, adding variable frequency drives and completely changing the original design operations with new nonproprietary BACnet building automation controls. As a result the air handlers are now using 83% less energy in fan power, a 90% reduction in preheating/reheating and a 50% savings in cooling and dehumidifying. As a result of the boiler modifications and controls over half of the boilers have been retired. Prior to the energy upgrade all ten of the boilers were needed to maintain the manufacturing conditions. Today a large amount of the time only one boiler is needed to maintain the critical temperature and humidity requirements and there are times where the boiler is off. There has been a reduction of 97% in hot water pumping as a result of these upgrades. Similar results have occurred on the chiller with over 36% reduction in chiller loads and 95% in chiller pumping output. 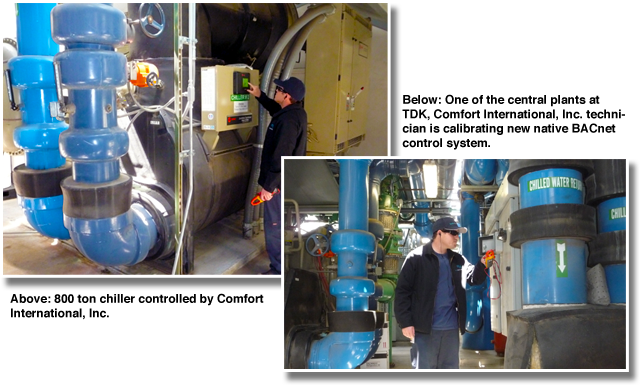 Comfort International Inc. identified $820,000 per year of energy savings with a one year return on investment. The entire project was completed without any disruption or downtime of their facility. 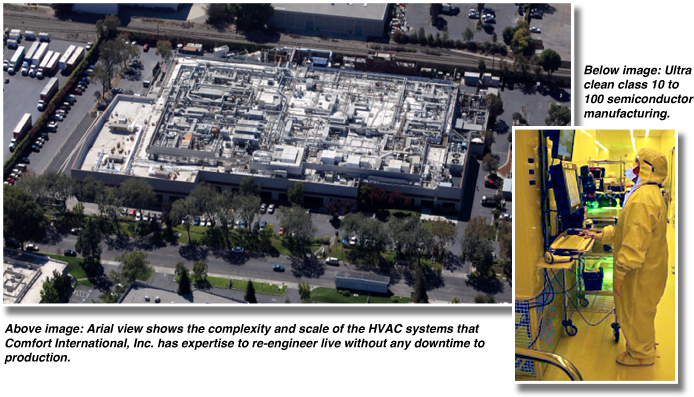 This was the largest commercial energy savings project in Silicon Valley. 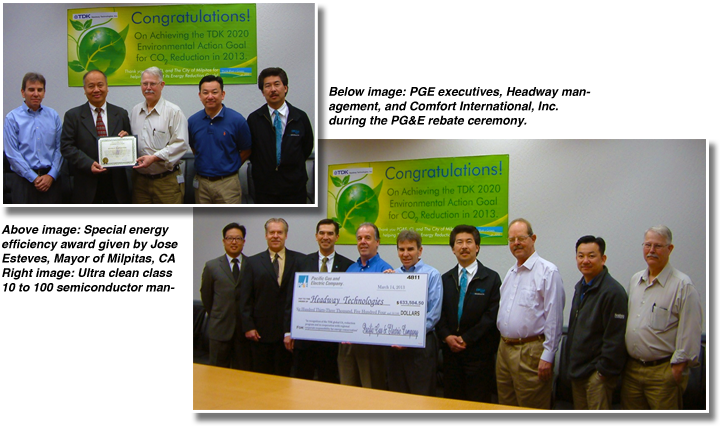 Additionally TDK achieved a rebate of $633,500 from Pacific Gas & Electric as a result of the Comfort International Inc. energy project which was the largest rebate given to any retrofit commercial project in 2012. 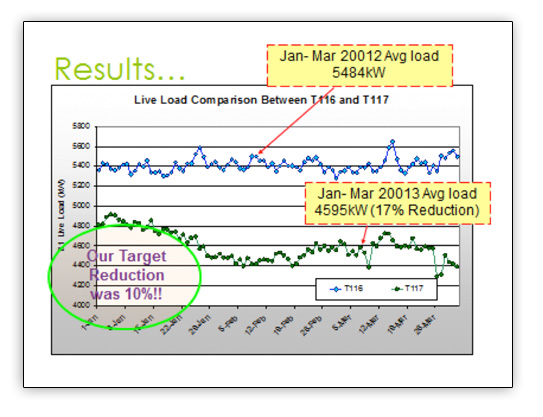 The energy savings were guaranteed at the utility meter and the results have greatly exceeded the target goal of $820,000 per year. The facility is saving over $1,000,000 annually as a result of the energy upgrades. These results were so impressive that TDK also was awarded a special energy efficiency award from Jose Esteves, the Mayor of Milpitas.